This might be the closest we can get to actually being her. In a perfect world, we'd all look as fresh as Liza Soberano every time we step out of the house. But long work hours, stressful commutes, and the unpredictable weather can make any Pinay frustrated, especially since we spend a huge chunk of time dressing up and prettifying ourselves. But if you add a few extra steps to your daily routine, you might just be able to get Liza's fantastic, stress-free glow. Read on to steal her secrets! You may have your daily beauty routine mastered by now, but have you checked if there is something you can do to improve it? Maybe adding an extra step to your nightly skincare can score you that glowing skin you've always wanted, or it can also be as simple as dabbing highlighter on the inner corners of your eyes to make your peepers look brighter. Never stop fine-tuning and tweaking your beauty habits, girl. Do you always complain about having nothing to wear despite owning a closet bursting with clothes? Try planning an outfit the night before so you won’t feel haggard even before the day starts. Hang up your outfit before going to bed, and pick out your shoes as well. Use the few minutes you’ll spare to catch up on precious beauty sleep! Admit it, there are days when you just want to break free from your routine. For moments when you feel like upgrading your style, set a small habit that can help make you feel new. Add a bright pop of color to your OOTD, or swipe on a red lippie for once. These small changes can do wonders for your confidence, promise! You may look fresh, but you shouldn’t forget the not-so-obvious things that help you feel that way throughout a long day! Swipe on a deodorant before leaving the house to avoid body odor and embarrassing sweat stains, and spray on a bit of perfume so you’ll smell good even after a tiring commute. Your feminine area could use a little help in the freshness department, too! 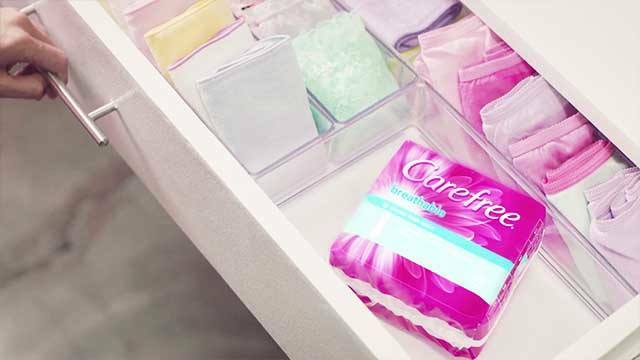 Don’t forget to use a mild wash with the right pH level, and use CAREFREE® pantyliners daily to ensure you feel fresh, no matter how busy you get. It’s the added secret step in Liza’s daily routine that keeps her feeling pretty and positive all day long. Watch her in this CAREFREE® online musical to learn how it can help boost your confidence, too!